What’ s wrong? 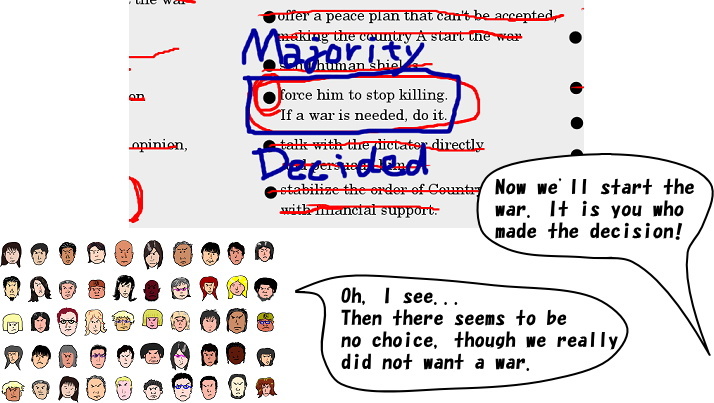 Though it is a democratic country, they have made a decision to start a war. Please pay attention to the fact that people look unhappy but somehow convinced. Then if people chose one by majority rule from only 2 options, which had been left and not wanted by anybody, it may still seem that people made the decision.